Provides powerful support for increasing bone density and supporting bone health with plant-based calcium and strontium in a 30-day program. Advanced Bone Support for NuMedica Osteo Vegan Program with Osteo Vegan Rx Combined with Osteo V SC for the 1-2 Punch! Physicians recommend using Osteo Vegan Rx with Osteo VV SC to get the maximum benefit for increasing bone density and supporting bone health. NuMedica provides a 30-day program kit containing both supplements at a savings for better value. 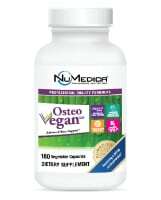 NuMedica Osteo Vegan Program features an advanced Rx formula made with professional grade, plant-sourced calcium to support bone building and bone health. NuMedica has designed this supplement with certified organic whole-food calcium along with upwards of 70 trace minerals and plant-based nutrients. As we age, our bone density can naturally decrease. To prevent brittle bones, fractures, and ward off conditions like osteoporosis, it's important to complement with your diet with a natural supplement regimen like NuMedica Osteo Vegan Program. NuMedica Osteo Vegan Program contains plant-based calcium. Plant-derived calcium has been shown to increase bone density by as much as 4.33% according to human clinical trials. With improved bone density, you'll benefit from stronger bones that are less susceptible to breaks or fractures. Medical experts assert that the best way to infuse your diet with calcium is with plant-based calcium like legumes and leafy greens rather than dairy. For this reason, NuMedica Osteo Vegan Program is a smart choice for increasing bone density with beneficial density. Along with its plant-based calcium, NuMedica Osteo Vegan Program is also designed with D3, an essential vitamin that enhances calcium absorption. Without enough of B vitamins, your body can't absorb and use the calcium it obtains. Because D3 is clinically proven to ramp up the body's calcium absorption so it can be used to support bone health, this program is a powerful support for bone density. This supplement also contains a wide array plant-based nutrients and minerals that also support bone health. NuMedica Osteo V SC is an all-natural supplement containing strontium citrate, which has been clinically proven to increase bone density when optimally combined with calcium along with other important minerals and nutrients. As people age, bone density can naturally decrease. Taking a natural supplement like NuMedica Osteo V SC can enhance bone density and health. Strontium is a key ingredient in NuMedica Osteo V SC. This trace mineral is typically found in seawater and soil. Strontium has characteristics that are similar to calcium, particularly when it comes to supporting bone health and density. Studies have demonstrated that strontium enhances the production of osteoblasts, which are cells associated with bone formation. In addition, this helpful mineral also decreases the breakdown of old bone, so it enhances bone health in a number of important ways. If you are concerned about low density and want to help ward off risks of osteoporosis, you might talk to your doctor about natural supplements like NuMedica Osteo V SC and how its natural ingredients can enhance bone density and support bone health. Along with this supplement, you can also ensure that you get enough calcium and vitamin D in your diet to support bone density. Exercise is also a key to helping you maintain bone health. 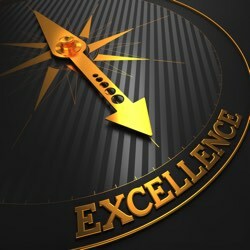 Natural supplement that contains strontium, a mineral known to enhance bone density and support bone health. 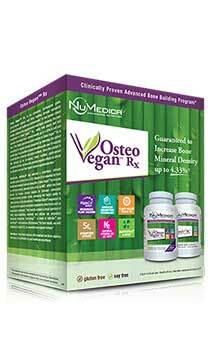 Vegan-friendly NuMedica Osteo Vegan Rx contains plant-based calcium and D3 for bone density and health. Contains cattle-derived bone growth factors along with calcium, vitamin D, and magnesium to enhance bone density and bone health.